John Steinbeck is to Californians as William Faulkner is to Mississippians. Their fiction is beloved regionally and worldwide. Both are Nobel Prize winners in Literature (Steinbeck 1962—Faulkner 1949). 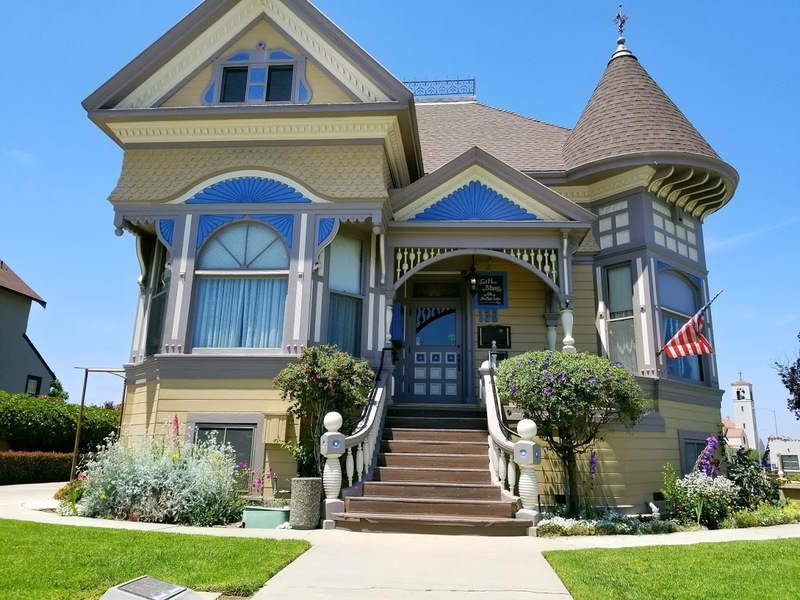 Recently, PillartoPost.org visited for lunch The Steinbeck House, a restored 1897 Queen Anne Style Victorian, which is now a restaurant and the Best Cellar gift store located at 132 Central Avenue in Salinas, California. 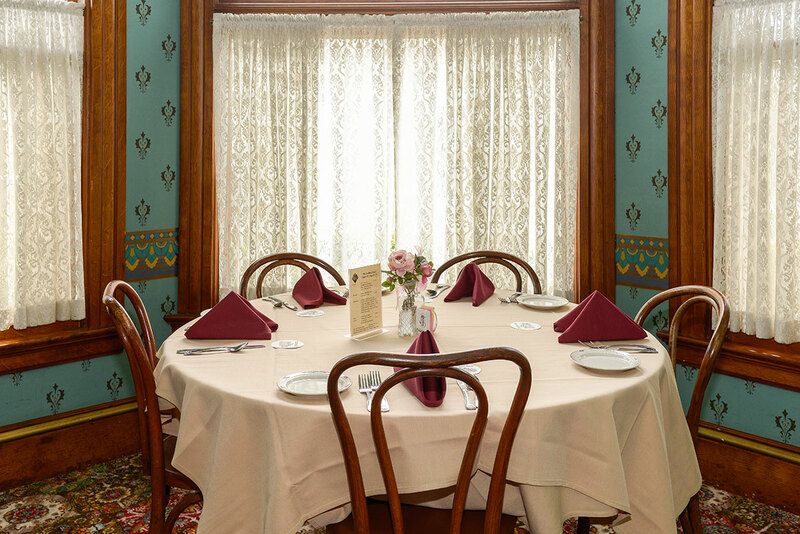 Lunch in the author’s birthplace and boyhood home is served Tuesday thru Saturday 11:30 am until 2 pm. Reservations are strongly suggested (831-424-2735). 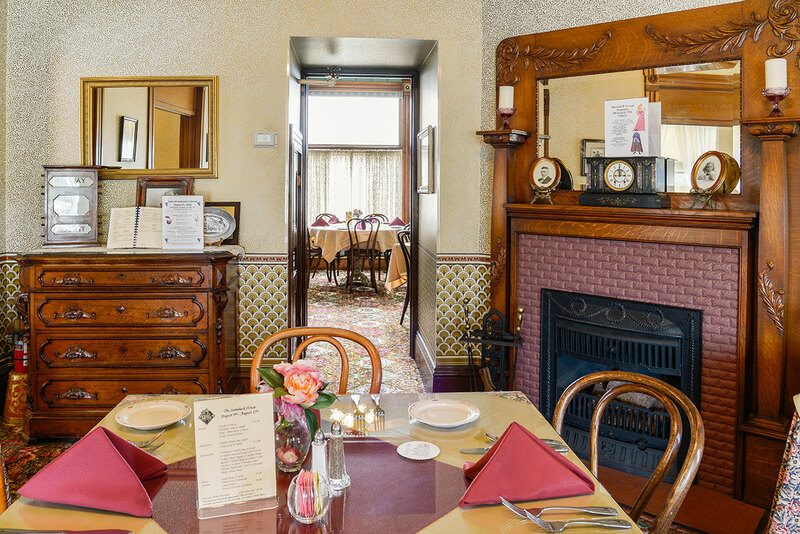 Lunch is the main attraction, however, there are two monthly events: a Saturday dinner and a separate high tea. Again, reservations are a must, especially for larger parties. On one late spring, our intrepid foodie ordered off the lunch menu having Cream of Zucchini soup with a plate of fresh fruit and vegetables followed by a Manicotti crepes entrée. The beverage was a delicious split of Sonoma County Korbel sparkling wine. All lunch items are available for takeout. 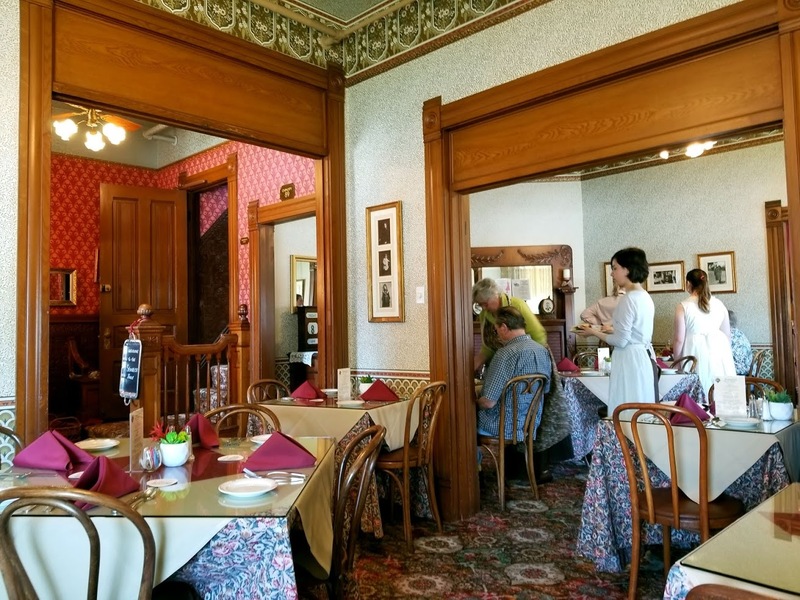 Now part of the first floor restaurant, this room has a sink, which was installed by John Steinbeck's father because he was not the first father with a wife and three daughters to note the women of the house dominated the bathroom. 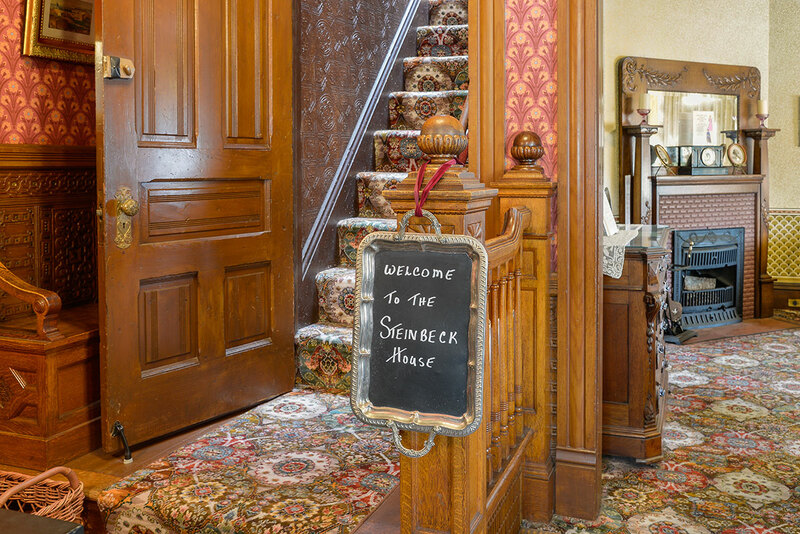 The author’s grandparents Adolph and Almira Steinbeck purchased the house new from builder J.J. Connor in 1900. In 1908, Steinbeck’s parents John E. and Olive Steinbeck purchased the home. The 4,000 square foot, 15 room home eventually was purchased by The Valley Guild in 1973. 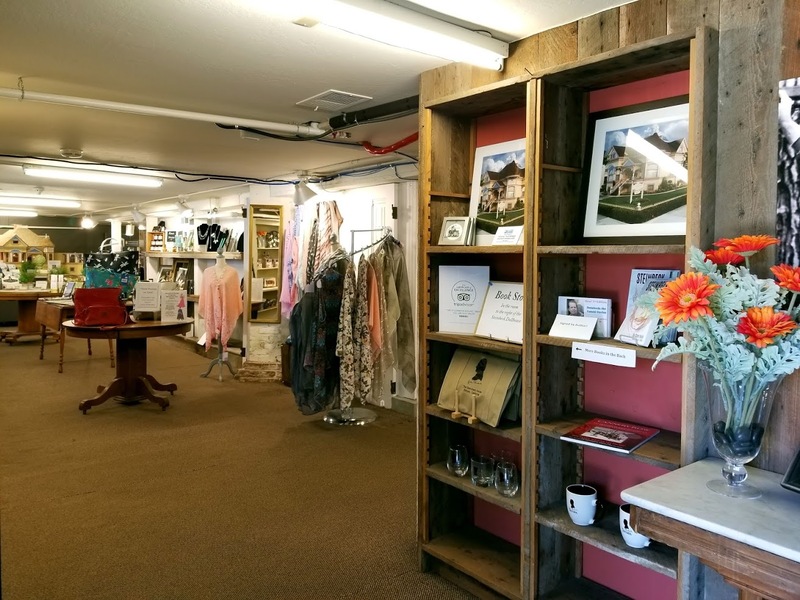 The Valley Guild was formed by eight enthusiastic women who shared a common interest in gourmet cooking and wanted to showcase the Salinas Valley produce. 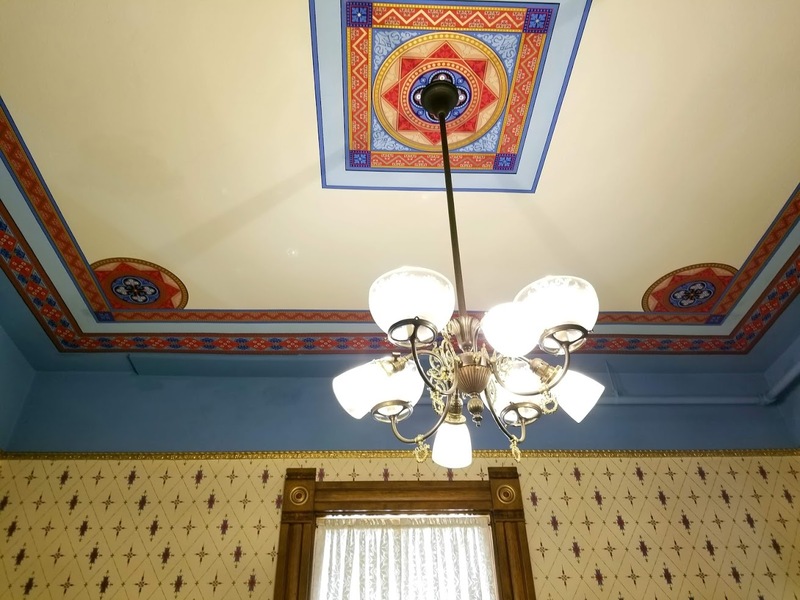 The Valley Guild renovated and restored the house after purchasing it. 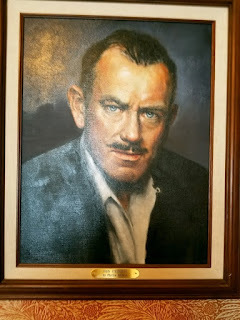 It was opened to the public as a restaurant on February 27, 1974 – the 72nd anniversary of John Steinbeck’s birth. especially for The Steinbeck House. 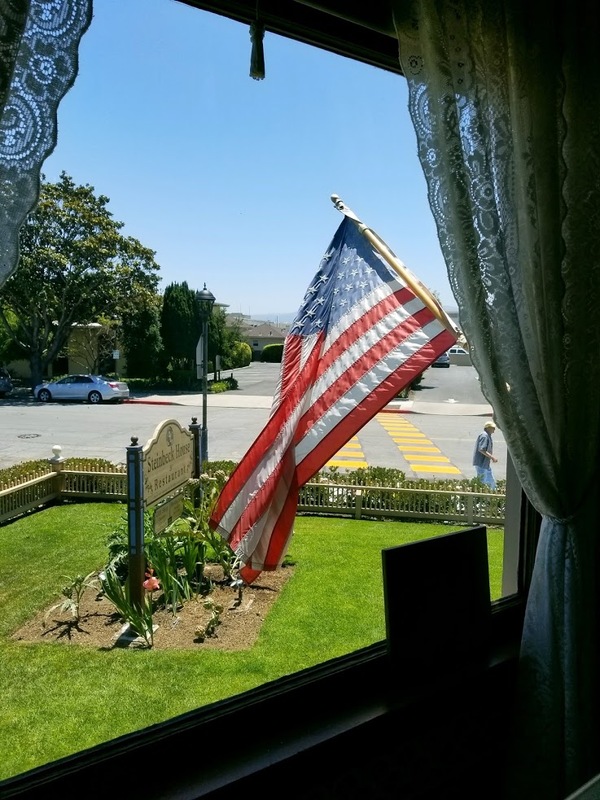 The family home and restaurant are nearby to the National Steinbeck Center, a museum, and memorial that houses the largest collection of Steinbeck archives in the United States, with various exhibits on his body of work and philosophy. The Center recently renovated a small exhibit for rotating exhibits within the main exhibit hall. John Steinbeck (1902-1962) is one of America’s icon novelists, whose lifetime works (Grapes of Wrath, Red Pony, East of Eden and others) earned him countless honors including a Pulitzer Prize and the Nobel Prize in Literature in 1962. He was born in Salinas, California in 1902 and died in New York City 1962. He is buried in Salinas. 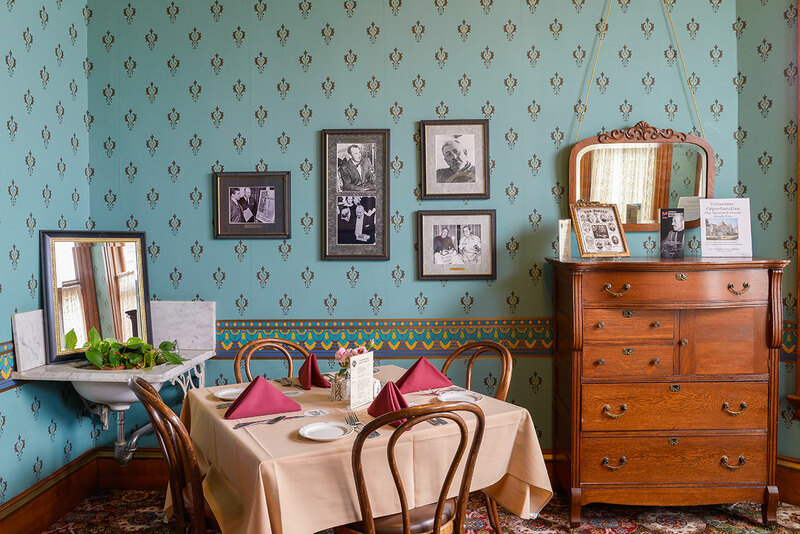 The Valley Guild, owners and operators of The Steinbeck House reburbished the interior to its period roots.